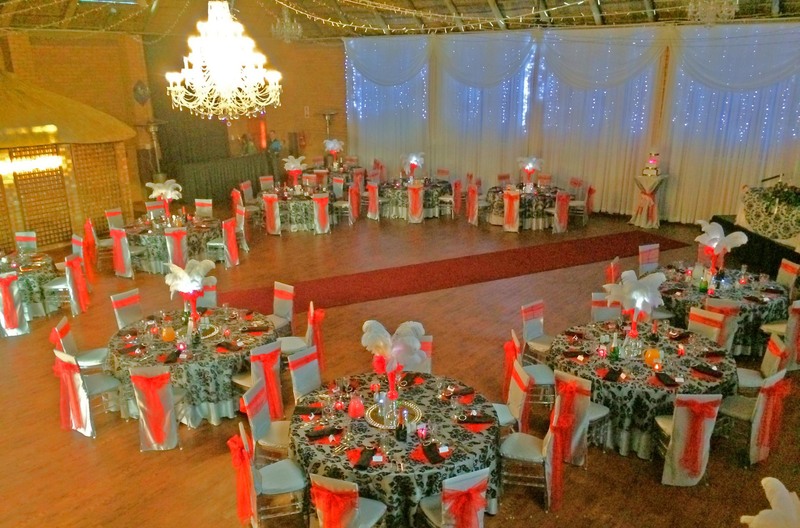 Will Chris Estate boasts with various conference venues including a large hall with a capacity of seating up to 400 guests in style and comfort down to stretch tents seating up to 120 people outdoors. A projector with a large screen, flip charts, audio visual systems, lighting systems etc. We can also provide branded water bottles, pens, notepads etc for each delegate. Arrival tea and coffee, iced water and cupcakes, muffins or savory finger food. Comprehensive choice of lunch menus including your choice of protein, starch greens, breads and various desert dishes. Our conference centers are serviced by a fully equipped, professional industrial kitchen, a well stocked bar located within the main hall. We are centrally located in Mpumalanga within a three hour’s drive of Nelspruit, and an hour’s drive from other main centers in Mpumalanga. An easy 1 ½ hour’s drive from Johannesburg/ Midrand/Vaal Triangle and only and hour’s drive from Pretoria.